I take this great opportunity to extend my heartfelt gratitude to the entire Swanland Education Africa Trust (SEAT) Board for the much needed support to change the lives of the children of Ngando Village from adversity into hope. To the good people of Swanland village community, thank you so much for your kindness and generous support. In Africa we say, kindness is a language which the blind can see and the deaf can hear. You’ve done exactly this to our children. 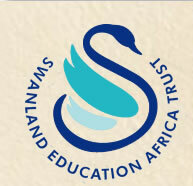 Swanland Village School (SVS) has had continued growth since inception. This year the number stands at 180 children with an average of 18 children per class. Our senior class is class six will in 2017 will take its first ever primary examinations to graduate to high school. Our teachers are doing all that they can to prepare them adequately, to produce academic giants who are also socially valued by the community and spiritually connected with God. This year, we had 46 applicants for baby class. However, due to the size of classroom spaces and the focus on the neediest children, only 20 were admitted. The waiting list continues bulging every term as our school is metamorphosing into a transformation centre within Ngando Village. Academically, our children keep performing better. The exams are set by independent examiners following guidelines of the Kenya National Examination Council. The teachers’ presentations and teaching methods have greatly changed since they successfully underwent the Child Friendly School training last year. Socially, our children are well disciplined and grounded on values of care, love, discipline and inter-dependency. 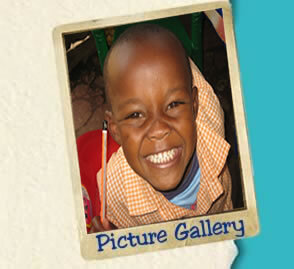 Our children are ‘change agents’ within the larger Ngando community. They have learnt the art of being socially intertwined with their community with the aim of making it better every day. There are no indiscipline cases and this had led to many parents making inquiries whether their children can be admitted in SVS. While in the school compound, you can feel the sense of individual responsibility exhibited by the children themselves. The way they help one another, holding the hands of the very little ones, flushing the latrines after use, washing hands after visiting the latrines, the level of cleanliness and decency in their dressing…our children are indeed shining. Within the Ngando village, SVS is special in many ways. It is in our school that you find children being offered adequate, satisfying and well cooked delicious meals. It is in the same school that the children never lack books, pens, rubbers, pencils, text books, crayons, teaching aids, first aid kits, desks, blackboards, chalks and above all, very dedicated teaching staff. It is in this school that all the teachers are adequacy trained and qualified by the Teachers Service Commission. The future of SVS is bright, promising and worth investing in. In two years, our pioneer class will sit for her Kenya Certificate of Primary Education (KCPE). We are certain, all our children will qualify to join high schools but we have not put measures in place to mitigate their school fees. Secondary education in Kenya is too expensive. As the saying goes, for tomorrow belongs to the people who prepare for it today, I personally commit to work with SEAT and everyone back here in Kenya to prepare for a better future for our SVS children. SEAT legacy will forever remain in the hearts and minds of these children even when they become adults. You’ve contributed to the most important level of their mental, physical and emotional/psychological development. At times when I look at some of these children and their families’ backgrounds, I ask myself, what would have happened to them now and in the future were it not that you’ve intervened? Our aim at SEAT is to get more people in Swanland being part of supporting these schools. Or you can speak to Richard Swain (richard@swainland.com, 634306) or John & Shirley Waters for more details.